The last week I’ve been continuing to work on the hawkey backend for PackageKit. It’s basically a small package manager backend that uses librepo to do the metadata checking and downloading and hawkey to do the depsolving. To glue all of this together and do kinda critical things like assembling and running a librpm transaction I’ve re-used globs of Zif, another little test project of mine. Today marks a milestone. 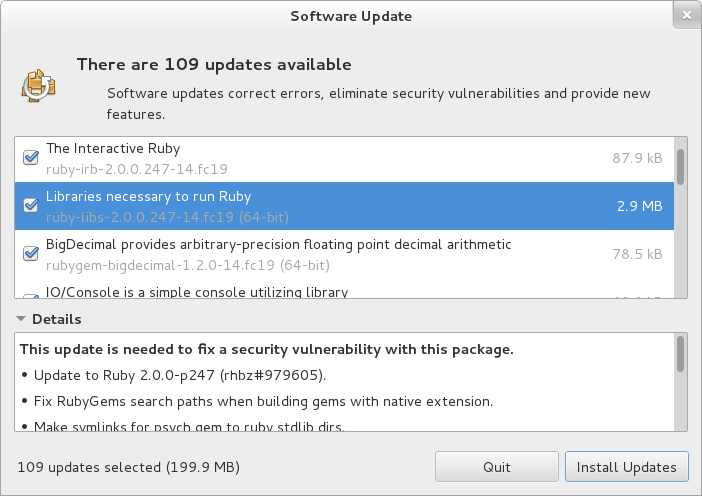 With librepo from rawhide, hawkey and PackageKit from git you can actually use the gnome-packagekit tools to install, remove and update packages. The latter was quite a bit of work, and I’ve been contributing patches like crazy to the hawkey project making sure all the pieces are in place. Of course, we’re not doing this for gnome-packagekit, we’re looking forward to the future. If everything goes to plan, in Fedora 20 we’ll have a shiny new software center called gnome-software that will use the hawkey backend on Fedora to perform like a modern software store. No “waiting for locks“. No “downloading metadata” at inopportune times. With the new backend we can make the user experience of the new UI an order of magnitude better than the old tools. And now, I’m going to eat ice-cream. Have a good weekend everyone. Great stuff Richard! Happy to see so much progress! This is awesome! 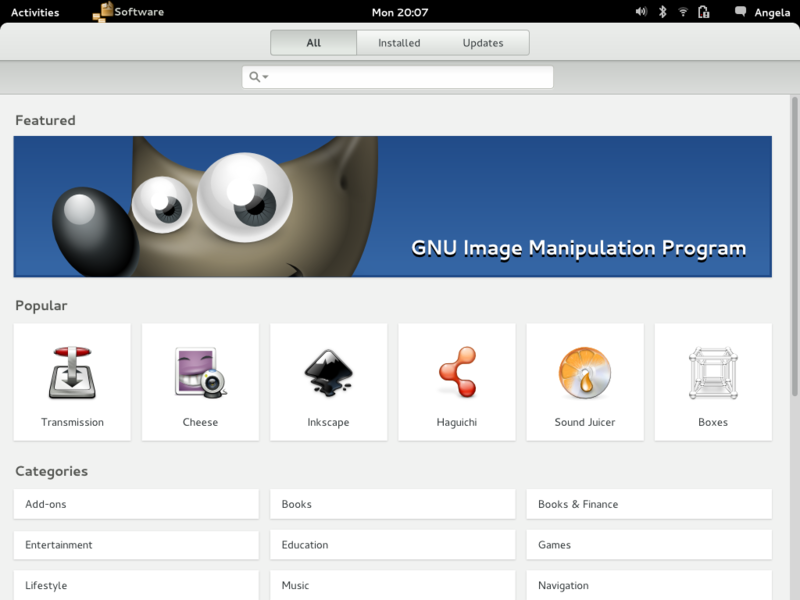 I’m really looking forward to gnome-applications – and even more to have an graphical alternative to the packagekit ui. Yup, it’s only on two lines as glade is being difficult.